At Performance Chiropractic, our Mission is to Keep Active People Active! 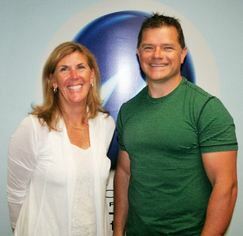 We do this by providing the highest quality, full-spectrum chiropractic and sports medicine care. We are committed to bringing our patients organic health care options aimed at minimizing pain and discomfort, maximizing overall health and wellness, and efficiently returning people to the active lifestyles they enjoy. For our athletes, special emphasis is placed on safely allowing you to continue your training program during your course of care or return you to “play” as soon as it is safe. Our highly trained and extensively experienced doctors are dedicated to helping you reach your goals. In addition to their Chiropractic degrees, both doctors hold degrees in Athletic Training (“Sports Medicine”) and certifications in Strength and Conditioning (“Sports Performance”).